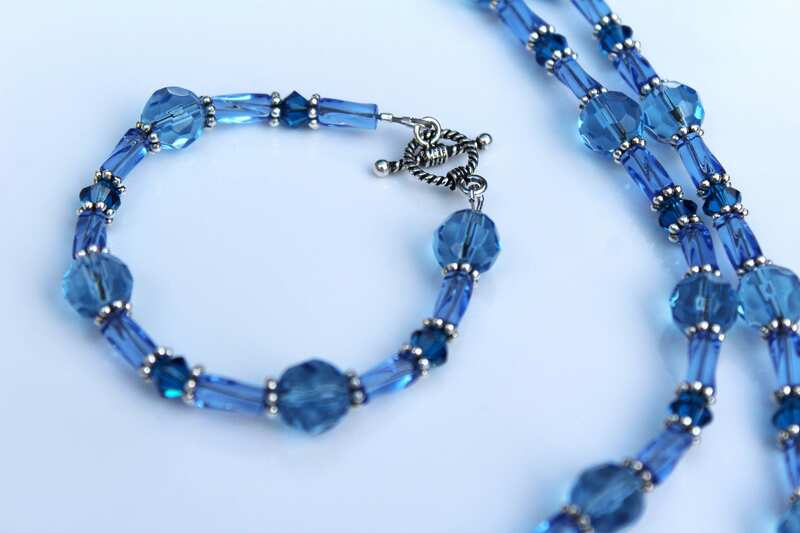 Gorgeous shades of blue glass that are faceted to give that extra reflection and shine when hit by the light. 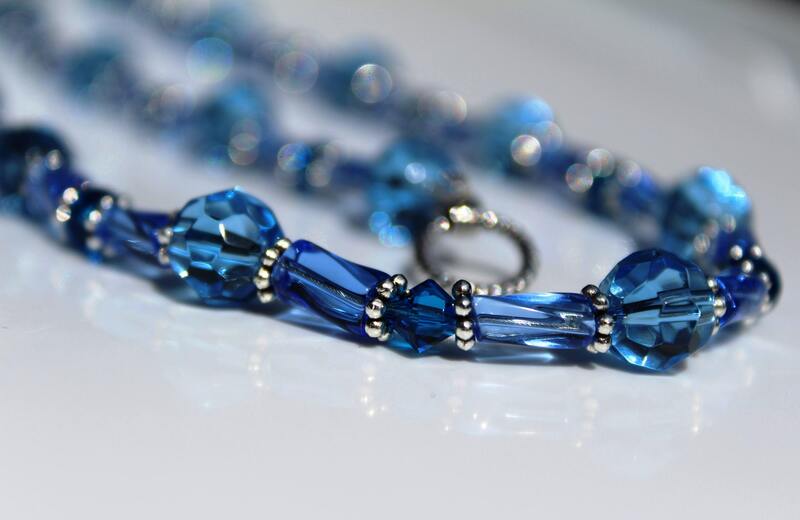 The second picture shows what the blue beads look like on a sunny day. 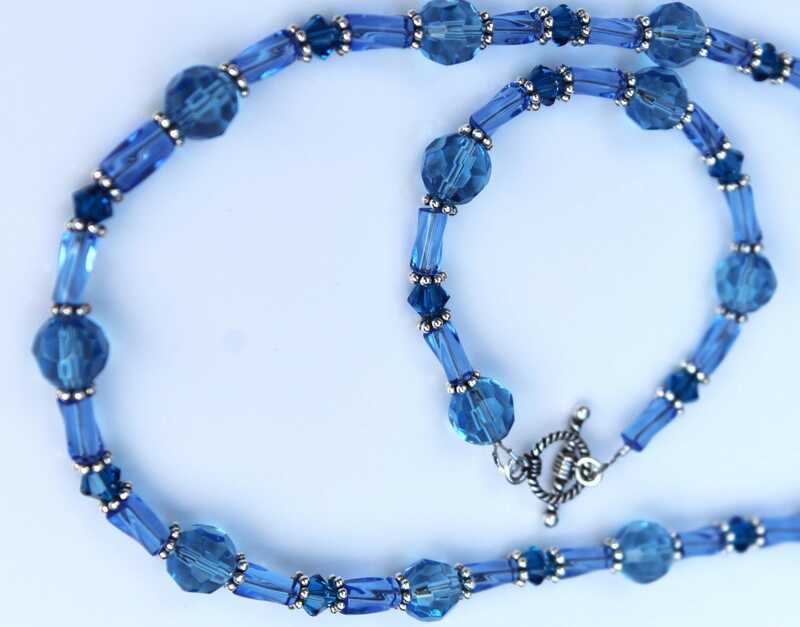 This listing is a necklace/bracelet set. 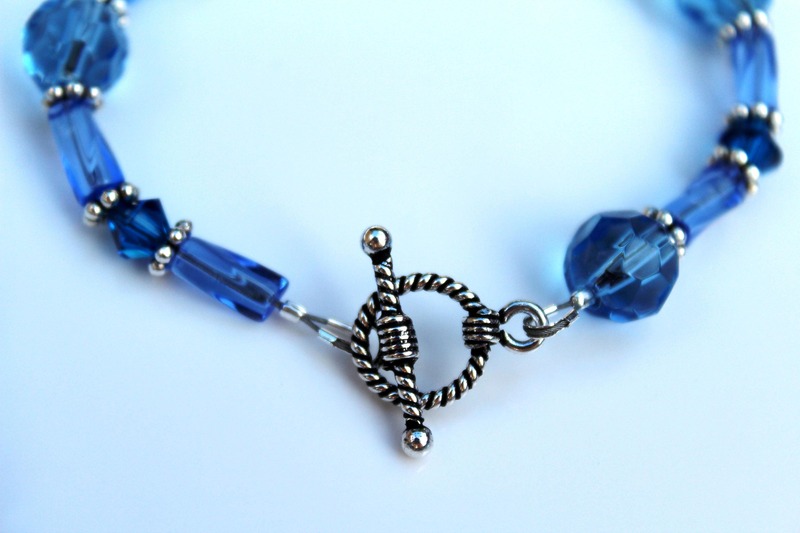 Both pieces have a detailed silver toggle clasp for your convenience. Wear jeans often? 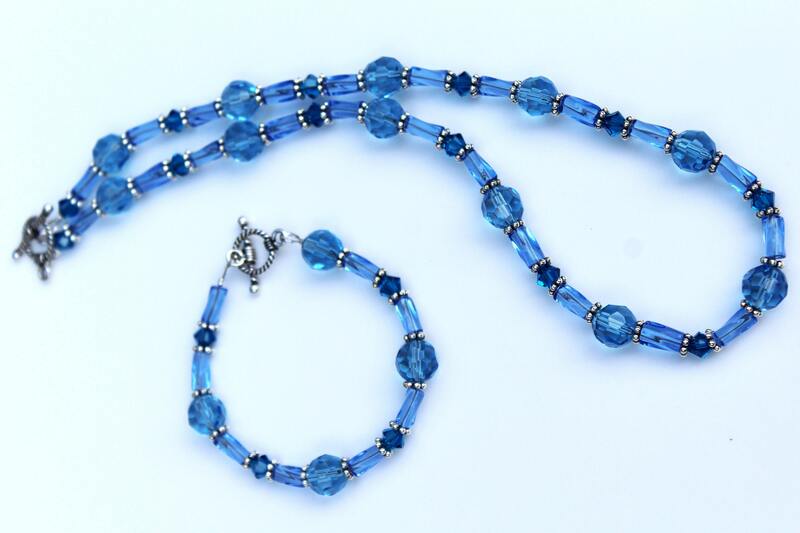 This blue set is an accessory that you can be sure will always match! 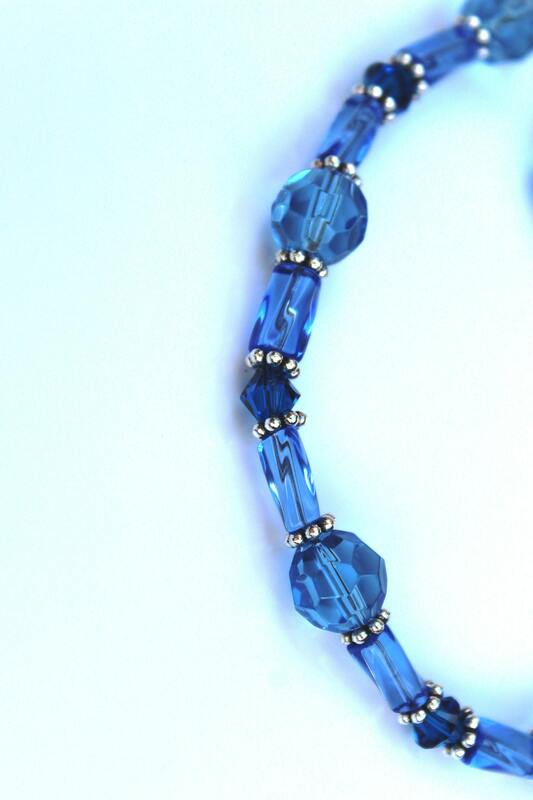 The dark blue beads are genuine Swarovski crystal bicones. 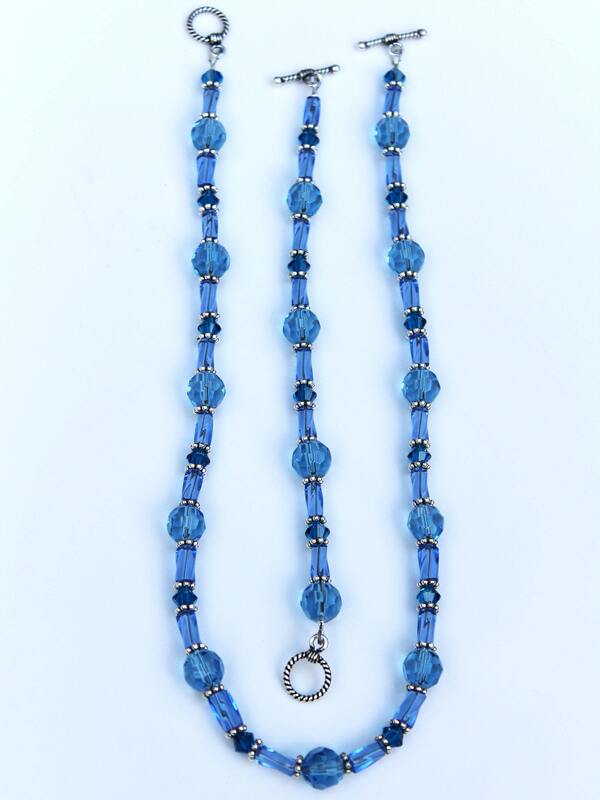 The necklace is approximately 19 inches long. The bracelet is approximately 7.5 inches long. This set is an original design, created and handmade by MichelesAManoDesigns.